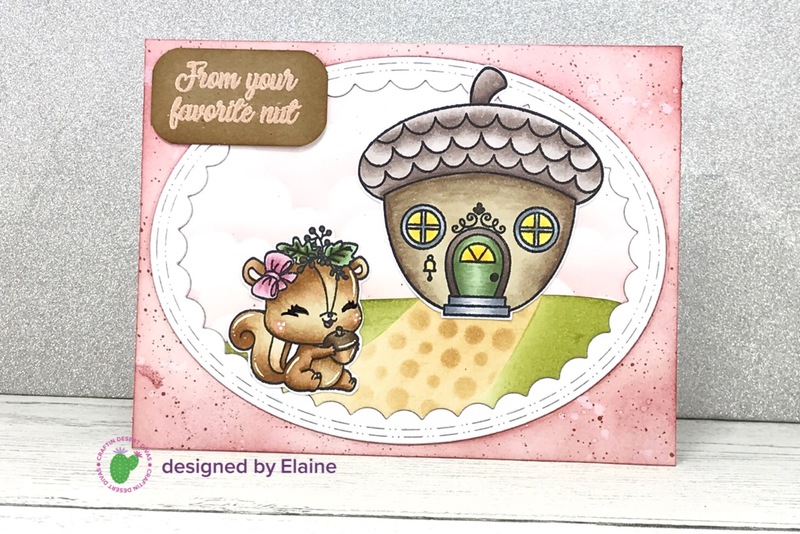 Pink Peppermint Cards: CDD August 2018 Release Week - Sneak Peek Day #1! CDD August 2018 Release Week - Sneak Peek Day #1! The August release is nearly here! The Design Team have been 'squirreling' away creating some adorable designs for you and to share the amazingly cute new stamps we have coming. 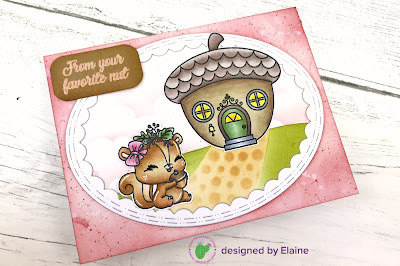 For today's sneak peek I am sharing this adorable scene card using the new 'Favorite Nut' stamp set plus lots of new goodies for August (see below to find out what new products I have used!). The acorn house is utterly adorable and I love the three squirrels that come in this stamp set (I've only used one of the squirrels on today's card). To create this card I have used some gorgeous rich coloured distress inks and a few coppery splatters which I think pair perfectly with Fall approaching and these cute little critters. To complement the release of this stamp set I have created a process video for the Craftin Desert Divas YouTube channel. I hope you enjoy watching the steps I took to achieve this card - click here to see the video! To return to the CDD blog post to find more of the Designers sneak peeks just click here!